Kendrick Lamar leads the way at the 2018 Billboard Music Awards with six wins from the non-televised categories as the stars begin to arrive in Las Vegas. 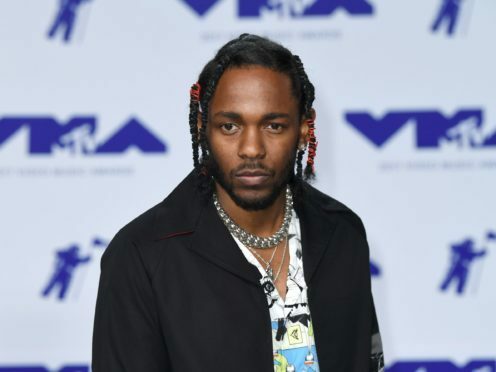 The 30-year-old rapper is tied with Bruno Mars and Ed Sheeran for most nominations with 15 but organisers have announced Lamar has already won prizes including Top Rap Artist, Top Rap Male Artist and Top Rap Album for 2017’s Damn. He was also awarded the prizes for Top Billboard 200 Album, Top Streaming Songs Artist and Top Streaming Song (Audio). Mars follows Lamar with five wins while Sheeran and Imagine Dragons tie with four wins each. Mars has received wins for Top R&B Artist, Top R&B Male Artist, Top R&B Tour, Top R&B Album and Top R&B Song. Sheeran goes into tonight’s live broadcast with wins for Top Hot 100 Artist, Top Song Sales Artist, Top Radio Songs Artist and Top Radio Song. Other multi-category winners include Luis Fonsi, Daddy Yankee and Justin Bieber with three wins for Top Latin Song, Top Streaming Song (Video) and Top Selling Song. Celebrities including Dua Lipa, Demi Lovato and Christina Aguilera have already been spotted on the event’s red carpet in Las Vegas. Janet Jackson – who will make her first TV performance in nine years – will receive the Icon Award. Past recipients of the Icon Award include Cher, Stevie Wonder, Prince and Celine Dion. Ariana Grande will open the ceremony, which takes place two days before the first anniversary of the Manchester Arena bombing. Grande had just finished a show at the Manchester Arena on May 22 2017 when suicide bomber Salman Abedi struck in the foyer killing 22 people and injuring hundreds more. Kelly Clarkson will host the annual awards show, which celebrates artists’ performances on the Billboard charts.